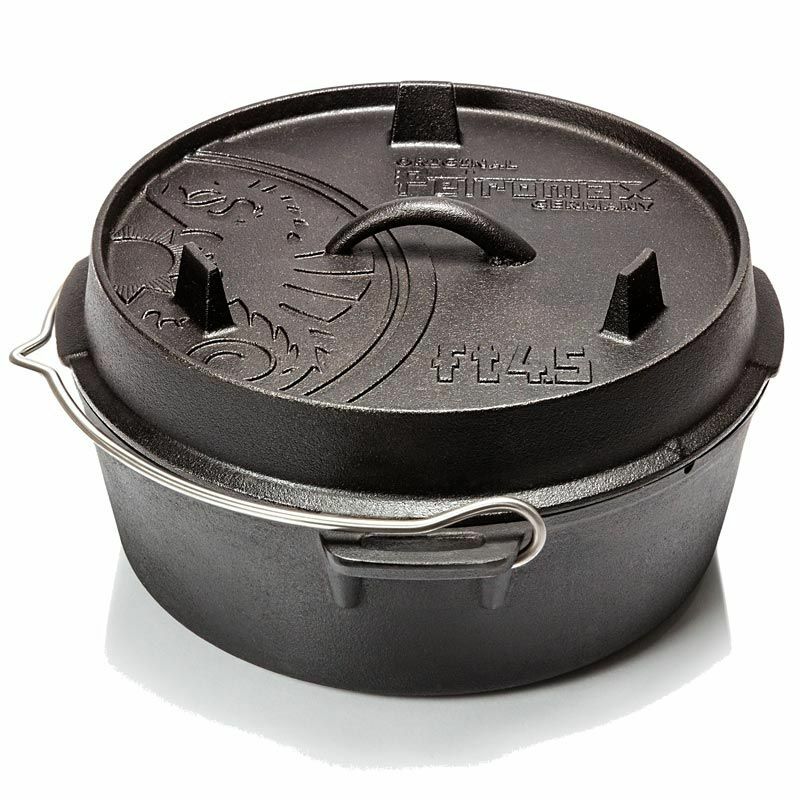 The Petromax Dutch Oven FT4.5-T is a superb piece of camping cookware for 2-5 people. 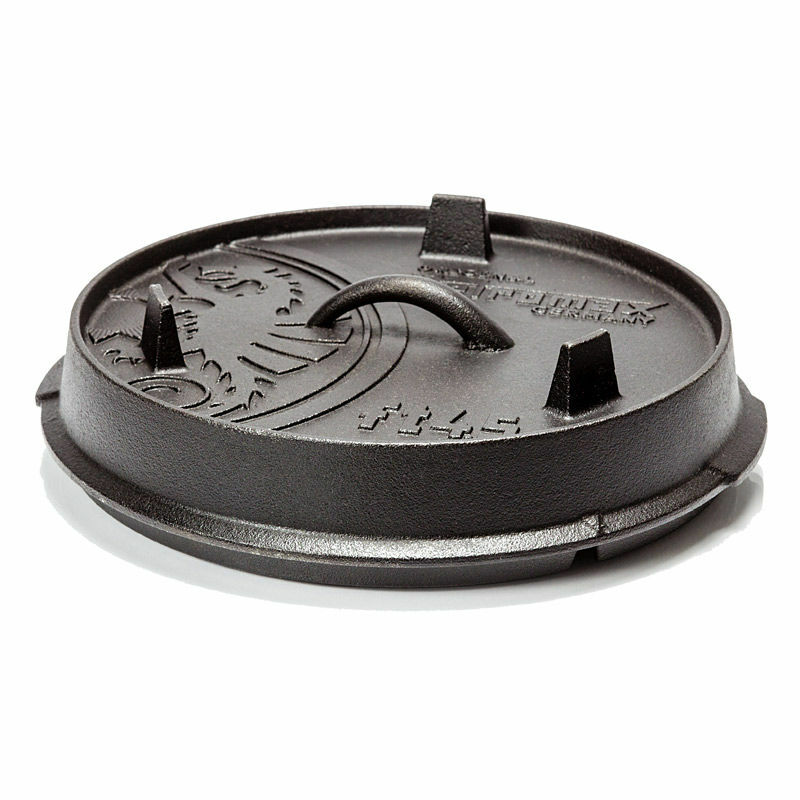 Made from durable cast iron, it can be placed directly into the embers of your campfire or suspended above it using either a tripod or trivet. 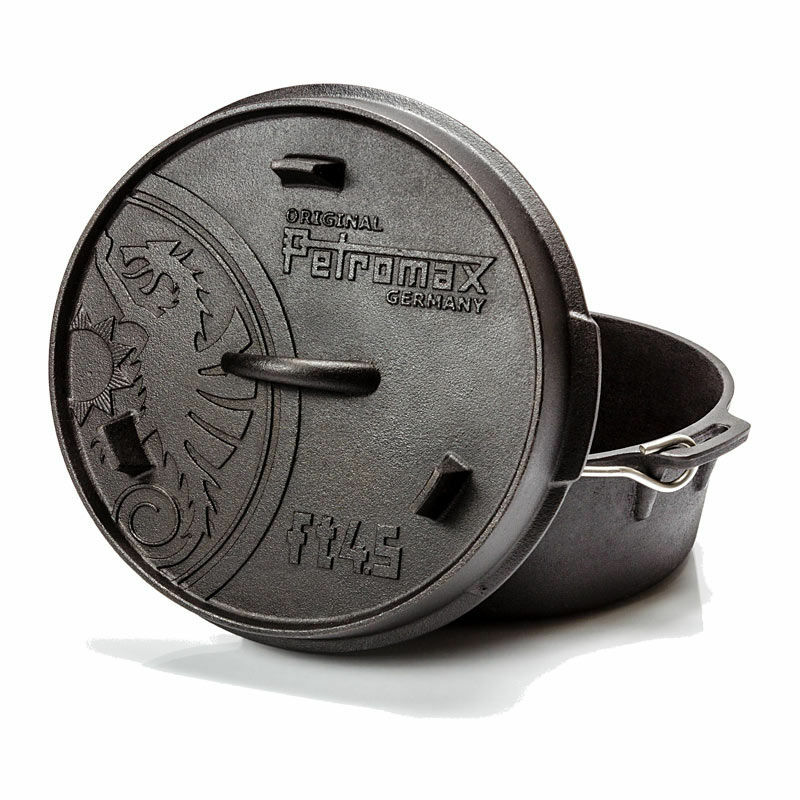 The FT4.5-T is an updated version of the original Petromax Dutch Oven. 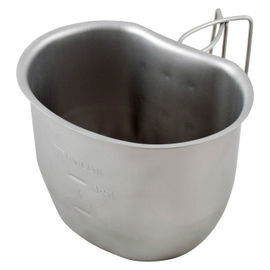 This newer model does away with the small legs on the bottom of the pot, helping to shave 300 g off the weight, while also making the oven more compact. 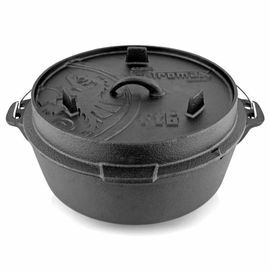 Petromax Dutch Oven - FT4.5-T is rated 5/5 based on 2 customer reviews. I had never used one of these before, and it is already a favourite. Have used it inside and out. On a fire you'll need a shovel for embers, some form of meaningful hand protection, and possibly a hook to get the lid off. Stews are simply great. We dry roasted half a chicken for two of us. A medium sized chicken just fits in a FT4.5. The skin came out dry and extra crunchy, the meat was juicy, and we also added a whole bulb of garlic with its skin on but didn't allow it to touch the bottom of the oven. We had tried single garlic gloves previously but they have tended to char through especially in contact with the sides. The garlic bulb soaked in water before cooking and was nicely caramelised. 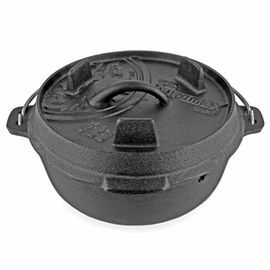 Bought the Dutch oven without legs as we have broken legs in the past and a trivet works better. 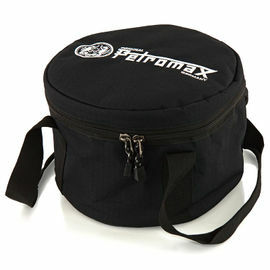 Petromax, best there is and comes ready to use. Arrived very quickly and well packed and in perfect condition, so full marks to Woodlore for that. We travel as a pair or as a foursome family, so this size of oven covers our needs. We usually cook on open fire coals and this oven is solid and substantial and so far we haven't burnt anything. Cooks and spreads heat evenly. We did try it out in the garden with bar-b-que briquettes the day it arrived and it worked well with those. 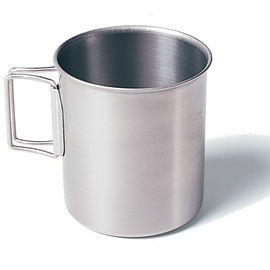 You will need a lid lifter, the lid is heavier than the oven. 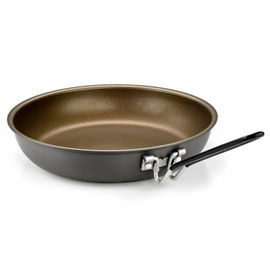 But it has feet on the lid which allows it to be laid upside down as a skillet or, our favourite use, place a fry pan on top to cook eggs and bacon whilst baking bread in the main oven. It's like having an oven and hob in that configuration. As I work in the woods as well as camping, it gets a lot of use rather than resting in a cupboard. So far all I can say is that I wash it without detergent, dry and season it after every use and it still looks like new and nothing sticks. Not an ideal choice for hiking or cycling due to weight, but looks great and travels well in the back of my Land Rover and on our boat. 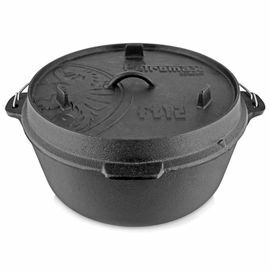 Can't say anything about life of product yet, but as I inherited my former Dutch oven from my grandfather I am guessing it'll be around a long time. It is exactly what I wanted, at a good price from a trusted supplier...good enough for me.